Inspired by this past month’s International Grand Convention and its theme—Freedom—the Young Living July 2018 PV Promo is all about living free and fearless! Bring the energy and excitement of the convention to your home with essential oils and products that keep you motivated even in the face of obstacles, fears, and critics. Place your qualifying order and get empowering essential oils such as Aroma Life, Valor, and more to help you enjoy your best life! 15-ml Aroma Life: Apply Aroma Life to your wrists and over your heart to bring an empowered feeling to your day and help you push through the barriers that hold you back. Energize your spirit and create a sense of connection by diffusing Aroma Life in your bedroom as you begin the day. 15-ml Geranium: Diffuse Geranium for an uplifting aroma when you dive deep into your soul and spend a moment reflecting on what you’ve achieved. Add a comforting aroma and a feeling of fearlessness to your home or office the next time you have to hustle. 5-ml Valor: Do something adventurous! Climb a new summit, try a new hobby, or meet someone new. Whatever you do, be sure to bring your trusty friend Valor. Apply Valor to your neck and chest after your morning shower to get excited for a new day full of opportunities. Bonus Essential Rewards exclusive: LavaDerm Cooling Mist: Head outside to explore, reconnect with nature, and let the great outdoors inspire you. Wherever you wander, stay cool with LavaDerm Cooling Mist. Add extra moisturization to your evening routine by spritzing your face with this gentle mist before bed. Bonus Essential Rewards exclusive: 5-ml Lavender Vitality: After a day of tackling obstacles, add 2 drops to a capsule before bed to support general wellness and promote a restful night’s sleep. Reward yourself for all your hard work with a view of the sunset and a drop of Lavender Vitality in your favorite lemonade. 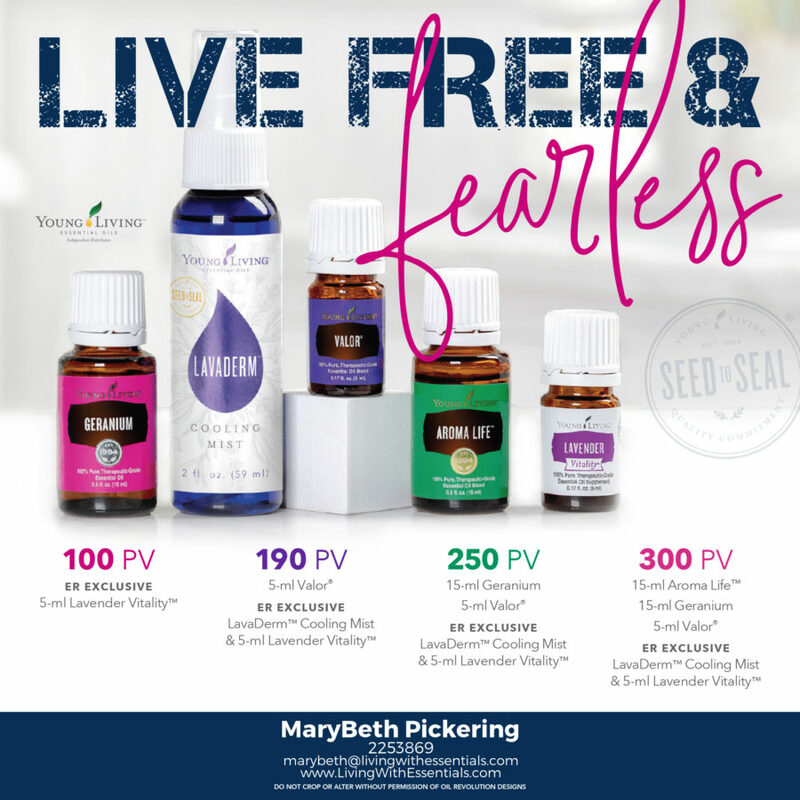 Want to live free and fearless with the Young Living July 2018 PV Promo but don’t know where to begin? Not already a Young Living Member? Find out how you can get the Young Living July 2018 PV Promo! With this combination, you will be at the 300 PV total so you can get all the freebies from the Young Living July 2018 PV Promo for a total around $369.50 plus tax and shipping depending on which diffuser you go with for the Premium Starter Kit. This is such an awesome value and what better to invest in other than your health and the health of your family! 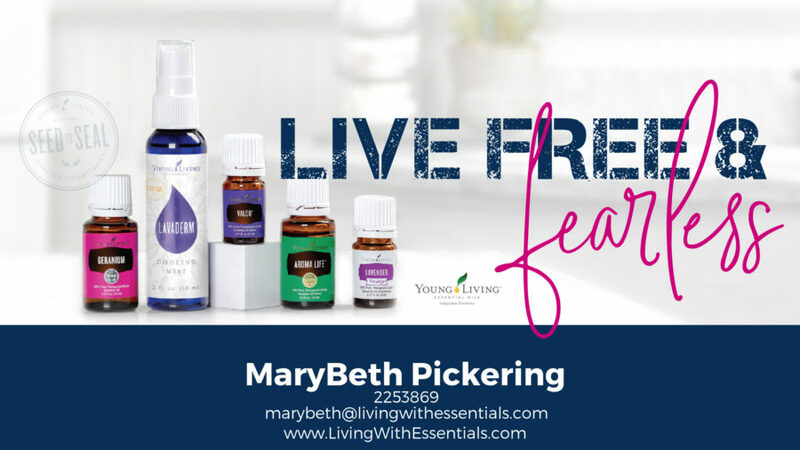 Bookmark this article Live Free and Fearless – with the Young Living July 2018 PV Promo! Start Your Summer Fun – with the Young Living June 2018 PV Promo!